Multi Encoder is able to encode using two or more encoders at the simultaneously, for example Rip an Audio CD to both FLAC and mp3. Existing Source Folder(s), converted tracks are written to same folder as the original. Important: When using multi-encoder the source audio file (file converting from) must not be overwritten, this can lead to unpredictable results. 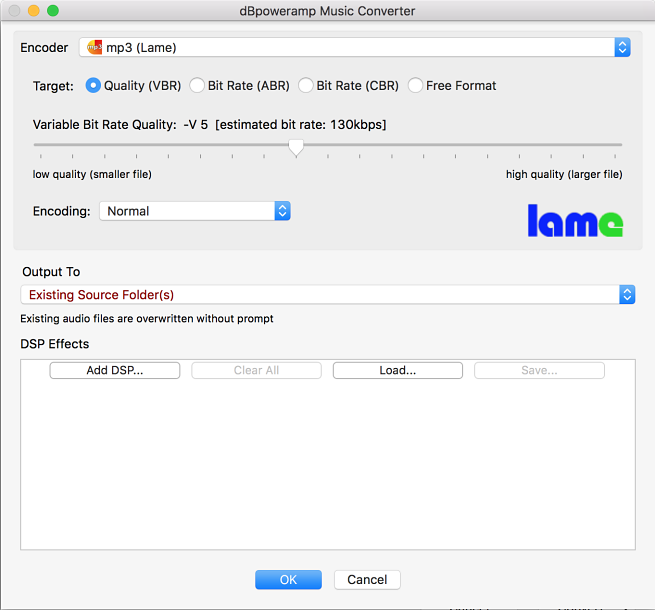 DSP Effects / Actions just as with Music Converter live DSP effects, or actions (such as changing the ID Tags) can take place whilst converting. Multi-CPU (dBpoweramp Reference option) allows Multi Encoder to use multiple CPUs at the same time.